I'm checking things off my "finish kitchen" list. 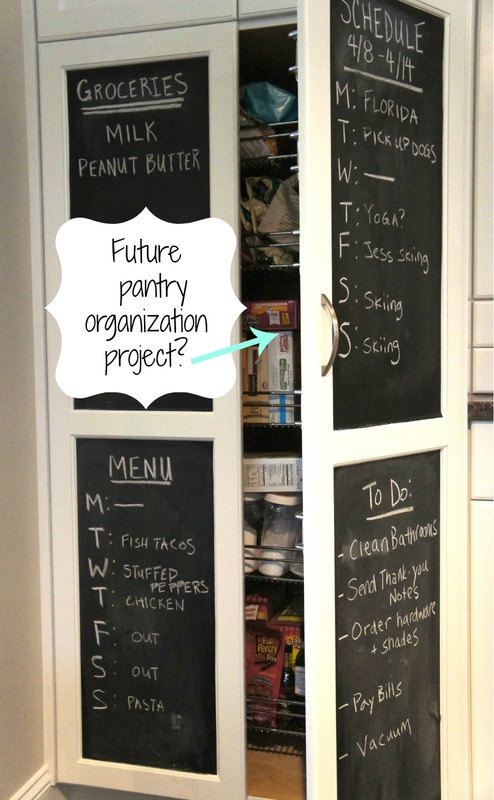 Creating a chalkboard on the pantry doors was one of those things. We lost the magnetic surface on our fridge when we switched from white to stainless steel appliances, so I was in need of a place to keep to-do lists and shopping lists. 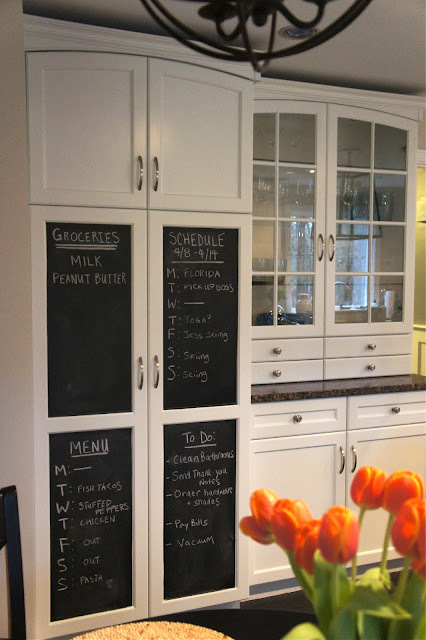 I contemplated creating a magnetic chalkboard surface on the pantry doors like I did in my home office, but I didn't want anything permanent. We paid to have our kitchen cabinets painted white, so changing them (or ruining the paint job!) this soon was something I didn't want to do. 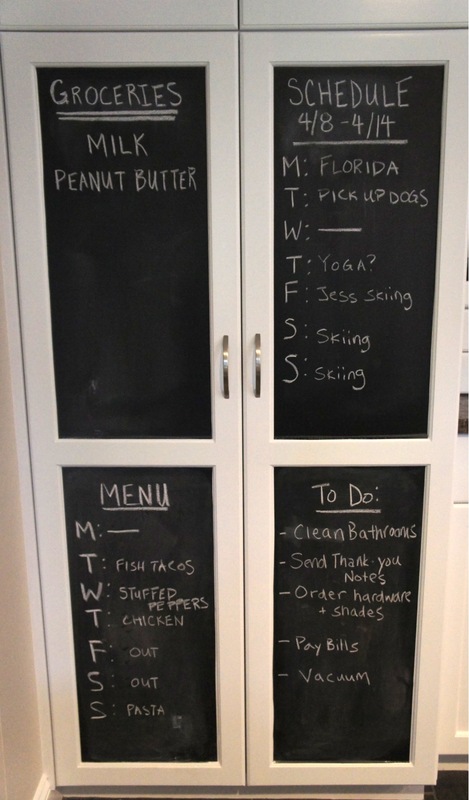 I ordered 2 rolls of black chalkboard vinyl from Hobby Lobby and cut 4 pieces to fit the panels on the pantry doors. Then I just peeled the backing off and stuck them on. Easy! I've already tried peeling them off and there appears to be no damage to the paint underneath, which is great. If I get tired of the look, I can just peel off the vinyl and the white cabinets will be restored. LOVE this! And it looks great in your beeeautiful kitchen! I have two small cabinets that have to act as my pantry. I'm so jealous of yours! Good idea with the vinyl! Your cabinets look amazing! We're getting ready to make the switch to stainless steel, so I need to find a place for all this stuff too! Awesome. I love that you can remove that. Now the wheels are turning in my head...Thanks for sharing! !